B20 Biodiesel Use in Big Agriculture. When you run the biggest farming operation in northern Ontario, plus a busy 12-truck fleet, the price of fuel matters quite a lot. So saving even just a penny a liter is a big deal. And when you switch the fuel that powers your trucks and get an extra 200 km on a tankful, you’ve gained again. The fuel in question is a B20 biodiesel blend. That’s part of the story at Koch Farms and Koch Logistics in Earlton, Ont., about seven hours due north of Toronto. It would be hard to define success any better than by describing what you see here. A thriving family enterprise by any measure. And when I say “huge”, I mean it. Norm farms 11,000 cash-crop acres, not all of them owned. Asked about the farm equipment fleet, he says he has “a bunch of combines” by which he means seven of the giants. There’s also a pair of multi-wheeled, 400-hp Case IH Steiger tractors, brutish things that could probably pull a dozen tree stumps out of the ground at the same time. Plus more smaller tractors and other equipment than they can count. And those monster Steiger tractors are using 200 fewer liters a day on the B20 biodiesel that Koch has been using for nearly two years now, supplied by FS Partners, based in Stratford, Ont. That sounds like a lot but doesn’t actually mean much until you realize that fuel consumption went from 700 litres down to 500 right away. A staggering drop in consumption that’s been consistent from the start. “We noticed that saving in the first two weeks,” says Rob, adding that they were astonished. Not least because all they were looking for was a cheaper fuel at a time when the cost of straight diesel had risen pretty high and was looking like going higher. Nowadays, the soybean-based B20 blend that FS supplies to the Koch operation is about a penny a liter cheaper than ordinary diesel, but this past spring the difference was about three cents. Ironically, given that price was the initial impetus for the biodiesel switch, it’s now irrelevant. “We don’t even look at the cost any more, because the other benefits are bigger,” says Rob. Koch runs a small but always busy fleet of 12 trucks, including nine Kenworths, a pair of older Western Stars, and a lone Peterbilt. All future purchases will be Kenworths, says Norm. For the most part they pull B-trains with their own agricultural products but they haul customer loads as well. Three of the Kenworths are 2008/09 models running 2007-spec Cummins 525 engines in front of Eaton Fuller 18-speed gearboxes. Most of the older trucks are Caterpillar-powered. The trucks were not the target when the biodiesel idea first arose, though there was some concern about the lubricity of ultra-low-sulphur diesel, such that they used an additive to combat it. When the biodiesel proved itself in the farm machinery, they switched it to the trucks as well. And given that the B20 is inherently more slippery than straight diesel, they were able to dispense with the additive. The increase in fuel economy is real, though they haven’t measured it precisely. They’ve been consistently getting an extra 200 km on a full load of fuel, and all their trucks have twin 150-gal (U.S.) tanks. That’s about 1,135 liters in total. Not a bad gain at all. Asked how he likes the biodiesel switch in the trucks now that they’ve had a little over a year and one winter with the fuel, Norm says he’s pretty pleased. “Things have gone well,” he says. “The three newer trucks especially do well, it seems. Much better fuel economy. The Kochs of Earlton are doing just fine the way things are. There’s lots of smart money betting on the latter “second generation” biofuels, but there’s at least one family in northern Ontario that doesn’t need to look that far ahead. The Koch fleet had no issues with the new fuel this past winter, though the blend was changed from B20 down to B5 through the cold months. In fact, Tom O’Neill of FS Partners, who manages the Koch fuel business, takes a conservative approach to the fuel he delivers to the 45,500-liter tank in the Earlton yard. He notes that another of his customers, Rainbow Concrete in Sudbury, Ont., is “very forward-thinking” and has actually been running its fleet lately on B100 biofuel — that’s essentially pure soybean oil, no diesel in the mix at all. Last month, the fleet had 10 days experience with the B100 non-blend and there’d been no hiccups. Getting back to the Koch operation, they’ve suffered only one small glitch in their biodiesel experience, and it was easily remedied. Tom O’Neill reports that last fall there was a mysterious algae formation in one of the dyed-fuel storage tanks used not for the trucks but for the farm equipment. It was a steel tank — the clear-fuel truck tank is concrete — but there’s no obvious reason why that distinction should matter. In any case the 25,000-liter tank was emptied and cleaned aggressively and the problem hasn’t come back. Being his conservative self again, O’Neill was just about to head up to Earlton to do another cleaning when we last spoke in September. Better safe than sorry, he figures. For all the success that Norm Koch and his sons are having with biodiesel, and that’s clearly quite a lot, the fuel’s future is a little cloudy. At least as far as crop-based variants are concerned. Biodiesel proponents answer one common charge — that fuel sourced from soybeans, for example, plunders food resources — by saying that the edible components of the soybean are left intact after the oil is extracted, meaning no loss on the food front. But it may not be enough. For one thing, most folks agree that there isn’t anything like enough land to make these first-generation biofuels broadly useful. There are indeed laws in place to promote their use, however, and there are many commercial-vehicle operations — especially some municipalities — that swear by it. The feds passed a bill two years ago mandating a five-percent renewable content in gasoline by 2010 and two-percent renewable content in diesel fuel and heating oil by 2012. The source of that “renewable content” wasn’t specified. Critics traditionally cite the cold-weather gelling problem and maybe filter plugging with biodiesel, but there’s now a fair bit of evidence to suggest that with the right fuel and with proper management, the winter issue is a non-starter. The Koch experience is but one case in point. Tom O’Neill, biased though he would obviously be, is adamant about this angle. “Biodiesel acts similar to ethanol in gasoline,” he says. “It cleans the walls of every tank and fuel system it touches so proper filtering is a must. O’Neill allows that there have been some such problems in the company’s own fleet, which runs B40 and beyond, and in some customer trucks as well. “I’m not saying we haven’t had issues but they have been very, very minimal and a high blend or a dirty tank was the problem every time and was corrected with very little hardship,” he says. All of that said, the long-term future of crop-based biodiesel is not quite as strong as it once looked like becoming. For one, variations on the natural gas theme have taken the spotlight recently and that’s likely to continue. But there’s been an enormous amount of research done on other “bio” sources — organic waste and “woody” biomass, for example, even algae-sourced oils for the longer term — and the requisite manufacturing processes. Want to sell Biodiesel at retail? Want to sell biodiesel at retail? Triangle Biofuels is looking for businesses in the Raleigh/Durham area that already sell diesel fuel what want to sell B20 or B99 biodiesel, or for new business that would be interested in selling B99 biodiesel. We can offer great margins (B99 sells for $4.00/gallon or more in the RTP area) and we will direct traffic to your store from our existing RTP customers and our websites and other biodiesel fuel websites. We can also furnish for lease a new, 2000 gallon double-wall, UL listed tank with Tokheim retail fuel pump (pulser and relays included for fuel control and sales). All pump materials are rated for straight biodiesel or any blend. Installation and setup would cost extra, and will most likely require permits. NC Weights and Measures certification will be required (free) unless you intend to use it for internal fleet fueling only. 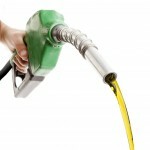 Right now there is a shortage of available biodiesel in the USA. We can supply you with with pure biodiesel or any biodiesel blend down to B5. Biodiesel fuel for highway use is taxed the same as regular diesel in North Carolina, so there is no additional paperwork for the retailer. See our website for more information about high ratio biodiesel blends an precautions you may need to take for existing equipment. Lower biodiesel blends can usually be added without any additional precautions or modifications to your existing equipment. For more information, use the Contact Us page and we will be happy to discuss how we can help you sell biodiesel at retail. Finally, it looks like Ford and GM are getting their products inline and recognizing that biodiesel is not going away. Prior to this and the GM announcement (see older posts), most of the domestic diesel vehicles could only handle up to B5. Biodiesel supporters are cheering Ford Motor Company’s announcement that its all-new Ford-built 2011 Ford F-Series Super Duty® diesel pickups will be fully compatible with a 20 percent biodiesel blend (B20). The NBB and the National Renewable Energy Laboratory have spent more than $10 million testing B20 and understanding how it works in the new diesel engines and after-treatment technology during the last five years. That’s in addition to research and development efforts by the individual Original Equipment Manufacturers like Ford. Ford’s support for B20 could have substantial market implications. Ford currently dominates the on-road diesel truck market with nearly a 46 percent market share of the diesel vehicle registrations in the U.S. according to the Alliance of Automobile Manufacturers. The 2011 models will be arriving at dealerships in the first half of 2010. Like many biodiesel myths, rumors about the incompatibility of biodiesel blends with new light duty diesel vehicles’ emission control technologies are for the most part inaccurate. The fact is, B5 blends are virtually indistinguishable from diesel fuel in terms of engine performance and compatibility with emission control systems, making all diesel engines easily compatible with blends up to at least B5. The rumors about incompatibility, however, stem from concerns about the possibility of increased engine oil dilution that can come into play with the use of higher biodiesel blends (B10 and higher) in some of the new light-duty diesel vehicles that utilize an emissions control system with in-cylinder post-injection. This system utilizes a late in-cylinder injection of raw fuel to burn off the material collected on particulate traps required to meet stringent new emissions standards for particulate matter. This is predominantly limited to the light duty diesel product offerings from Volkswagen, Audi, Mercedes and BMW, which are a small portion of the U.S. market. The other light, medium and heavy duty diesel engine manufacturers do not generally use late in-cylinder injection of raw fuel and have not reported problems with B20 compatibility or excessive engine oil dilution in their new diesel models. They have opted for systems that utilize an exhaust-stream injection of fuel to regenerate the particulate traps, therefore mitigating the risk of engine oil dilution. While recent research studies by Volkswagen in Germany as well as the National Renewable Energy Lab did conclude that use of biodiesel blends above B10 could lead to slightly higher engine oil dilution levels in diesels using in-cylinder post-injection systems, both studies also found that the absolute level of viscosities still remained in an uncritical range for the applied oil quality, and there were no negative impacts on vehicle emissions, engine performance, or parts wear as a result of the biodiesel use. The increase in oil dilution can be easily addressed with an oil change, and can be further mitigated through a proactive engine oil change service interval (e.g. consider an oil change at 7,500 instead of 10,000 miles). VW and NREL are also planning further studies on this issue. GM’s next-generation heavy-duty Duramax diesel V-8 won’t just burn cleaner to meet tough new emissions standards for 2010; it will also burn greener — fuel that is. The so-called LML Duramax will be certified to run on biodiesel blends of up to B20, which is 80 percent ultra-low-sulfur diesel and 20 percent biodiesel, in GM’s 2011 model year 2500 and 3500 Silverado and Sierra pickups. The move finally matches the B20 capability of the current 2007-09 Cummins 6.7-liter inline-six that powers the Dodge Ram HD lineup. The 2007 Dodge Ram 3500 was the only pickup in our last Heavy Duty Shootout that was able to burn B20. B20 is available at many truck stops today, but the current 2007-10 LMM Duramax and Ford’s 2008-10 6.4-liter Power Stroke V-8 are only approved for B5 biodiesel.